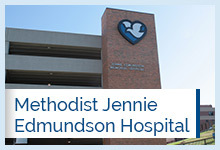 Hospital-based physicians dedicated to the care of our hospitalized patients. Unlike a traditional physician, a hospitalist's primary focus are patients who are in the hospital. Our hospitalists work closely with your physician to ensure that you and your family get the best care while in the hospital. As a part of your health care team, a hospitalist will work with your physician to monitor your condition, order tests and make treatment decisions that will help you get well faster. Hospitalists are available in the hospital 24 hours per day, seven days per week. Hospitalists respond quickly when a patient or family member has a question or concern. Hospitalists recognize and react quickly to any change in the patient’s condition. Hospitalists improve overall quality of patient care by reducing the risk of medical errors. 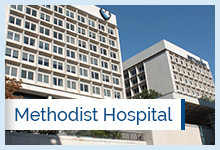 Having a hospitalist working along with your physician while you are staying with us is one more way that Methodist exemplifies The Meaning of Care®.